The following biographies are for the 2006-2008 AIB Executive Board. The board served from August 1, 2006-July 31, 2008. Stefanie Ann Lenway is Dean of the College of Business Administration and Professor of Management at the University of Illinois at Chicago.Previously, she was the General Mills Professor of Strategic Management and Organization and Associate Dean at the Carlson School of Management, University of Minnesota.She received her Ph.D. from the University of California, Berkeley. She is the co-author of Managing New Industry Creation: Global Knowledge Formation and Entrepreneurship in High Technology, a book about the corporate strategies and business history of the Flat Panel Display Industry (Stanford University Press, December, 2001).Stefanie is a former member of the Board of Governors of the Academy of Management, and a Fellow of the Academy of International Business. She has served as chair of the Academy of Management's Social Issues in Management Division, as vice president, program chair of the Academy of International Business and as associate editor of the Journal of International Business Studies.Lenway's previous book was The Politics of U.S. International Trade Policy.She has written many practical and academic articles on strategic management, politics, and economics for such journals as the Journal of International Business Studies, Strategic Management Journal, Academy of Management Journal, Academy of Management Review, and Information Display. Oded Shenkar holds the Ford Motor Company Chair in Global Business Management and is Professor of Management and Human Resources at the Fisher College of Business, the Ohio State University, where he is also a member of the Center for Chinese Studies. He has also taught in China (e.g., Peking University), the United Kingdom (Cambridge), Japan (IUJ) and Israel. His BA and M Sc degrees in East-Asian Studies & Sociology are from the Hebrew University and his M Phil and Ph D are from Columbia University, where his dissertation combined work in sociology, the business school and the East-Asian Institute. He is a Fellow of the AIB. Professor Shenkar's research interests include (a) China and its integration into the global business environment, the subject of the most recent of his three books on the subject (The Chinese Century, Wharton, 2004, translated into ten languages); cross-border strategic alliances, the subject of The Handbook for Strategic Alliances (Sage, 2005, co-edited with Jeff Reuer); and cultural analysis, where he is working with Simi Ronen to update their clustering framework. He has also co-edited (with B.J. Punnett) the Handbook for International Management Research, whose second edition was published by the University of Michigan Press in 2004. His eighty plus journal articles appeared in The Academy of Management Review, the Academy of Management Journal, Management Science, Organization Science, and the Journal of Applied Psychology; as well as in Human Relations, the Journal of International Business Studies, Management International Review and Organization Studies, where he is also a member of the editorial board. He is a Consulting Editor to Management and Organization Review, the official journal of International Association of Chinese Management Researchers, which he has previously served as a representative-at-large. Professor Shenkar's work has been cited by The Wall Street Journal, the New York Times, the Financial Times, the Los Angeles Times, The Chicago Tribune, The Boston Globe, The Daily Mail, Liberation, International Herald Tribune, Business Week, the Economist, Chief Executive, the Associated Press, Reuters, Nikkei Financial Daily, the China Daily, Reference News, and The China Business Weekly. He appeared before Congressional Commissions and has served as a consultant to multinational firms, governments and international organizations. He served on the Conference Board Council of Integration Executives and is on the advisory boards of the Hang Lung Center at HKUST and the School of Business at Zhejiang University. Dr. John Cantwell is Professor of International Business at Rutgers University in the US, and Professor of International Economics at the University of Reading in the UK. He has also been a Visiting Professor at the University of Rome "La Sapienza", the University of the Social Sciences, Toulouse, and the University of Economics and Business Administration, Vienna. He holds a BA degree from the University of Oxford, an MSc degree from the University of London, and a PhD from the University of Reading, where he was appointed to his first faculty position in 1984. 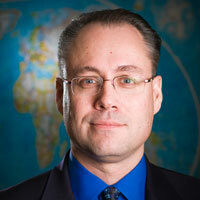 John Cantwell's main research areas are the analysis of corporate technological change and international business. 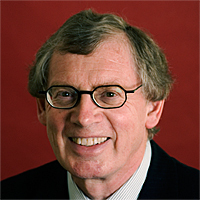 He is the author of Technological Innovation and Multinational Corporations(Basil Blackwell, 1989), which remains one of the most cited books in the international business field, since it helped to inspire a new literature on the role of international networks in technology creation, which now lies at the center of the international business research area. 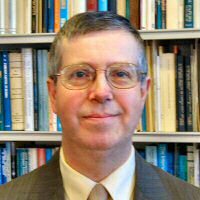 Altogether, Professor Cantwell is the author of 10 books, over 50 articles in peer reviewed journals, and over 60 chapters in edited volumes. John Cantwell is a former President of the European International Business Academy (EIBA). He has been elected as an AIB Fellow, was elected as one of four EIBA Founding Fellows, and has acted as the first Secretary of the EIBA Fellows since 2002. He is an Associate Editor of the Journal of Economic Behavior and Organization, and is a member of the editorial review boards of seven other refereed academic journals, including JIBS, Management International Review and the Journal of International Management. Dr Cantwell has been an AIB member continuously since 1984 (for over 20 years). He was an Associate editor of JIBS from 1997-2002. He served on the Panel for the Junior Faculty Consortium at the AIB Conference in 2002, and for the Doctoral Consortium in 2003 and 2005. He acted as a track chair for the AIB conference in Quebec City in 2005. He has twice been the advisor of the winner of the Richard N Farmer Award for the best dissertation in international business - Paz Tolentino in 1989, and Camilla Noonan in 2003. John Cantwell is a Fellow of the Royal Society of Arts, and a member of the Marylebone Cricket Club (MCC). He lives in New York City, and in Reading when he is in the UK. 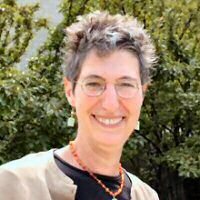 Susan Feinberg recently joined the Management and Global Business Department at Rutgers Business School.Prior to joining Rutgers, Feinberg was on faculty at the Smith School of Business, University of Maryland, where she taught global economics in the MBA program.Susan's work focuses on how changes in countries' economic and policy environments affect the location and operating decisions of U.S. multinational firms.She has presented her work at economics, management and finance conferences, and her research has been published in diverse journals including the Journal of International Business Studies, Strategic Management Journal, and The Review of Economics and Statistics. Susan discussed the policy implications of her research on the international trade of U.S. multinational firms in testimony before the United States Trade Deficit Review Commission, and she served on the International Economic Advisory team for the John Kerry campaign.She is currently active in the Global Poverty Roundtable, a Washington, D.C.-based consortium of academics, business people, policy makers and NGOs concerned with finding public-private mechanisms to promote economic development. Feinberg is on the Editorial Board of the Journal of International Business Studies and Management International Review and is a very active member of the Academy of International Business.Feinberg's service to the AIB includes participating in and chairing the Doctoral Consortium, and serving as the track chair for Economics at the 2002 AIB meetings.Feinberg is also a member of the American Economic Association and the Academy of Management. Feinberg earned her undergraduate degree in business at the Wharton School.Prior to earning her PhD at the University of Minnesota, she worked in advertising in France for several years. 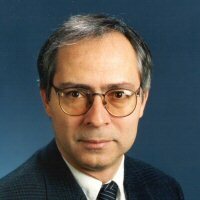 Professor Hult is in the top 1 percentile in research publications and citations in the strategic management field in the last decade (based on calculations employed by Boyd, Finkelstein, and Gove (2005, SMJ) using MacMillan's (1989, SMJ) "outstanding quality" strategy journals (i.e., SMJ, ASQ, AMJ, Mgmt Science, HBR, and AMR). His research has been cited more than 1100 times in the last decade (Google Scholar, January 2007). Prior to becoming Executive Director of AIB, Professor Hult was Vice President of International Activities of the Academic Council of the American Marketing Association (1999-2000) and a Board Member of the AMA Global Special Interest Group (1997-2000). He is Deputy Editor-in-Chief of the Journal of International Business Studies and Associate Editor of Decision Sciences and Journal of Operations Management. He serves on the editorial review boards of Journal of Marketing, Journal of the Academy of Marketing Science, and Industrial Marketing Management, among others, and has served as guest editor of eleven special issues on various international business and supply chain management topics. 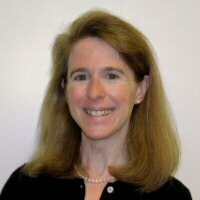 Dr. Hult was Program Chair of the AMA Summer Educators' Conference in Chicago in 1997, the AMA International Marketing Strategy Conference in Vienna in 1998, and as track chair of international business/marketing tracks of eight conferences. A dual citizen of Sweden and the U.S., Dr. Hult has been in the U.S since 1987 and at Michigan State University since January 2001. See http://www.msu.edu/~hult/ for more information.